Timothy R. Baumann strives to provide clients with a full range of high-quality intellectual property services at a reasonable cost. 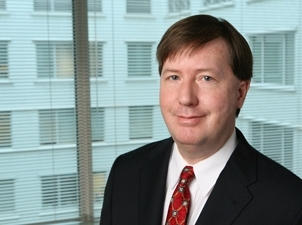 He has extensive experience assisting clients in the acquisition, protection, and management of all forms of intellectual property, particularly through complex patent prosecution as well as through the preparation of infringement and validity opinions, reexamination proceedings, and patent licensing agreements. Tim’s substantial litigation experience includes motion practice, taking and defending depositions, discovery practice, and trial work. Prior to joining Fitch Even, Tim worked as a design engineer at global avionics corporation Rockwell Collins in Cedar Rapids, Iowa, and as a software engineer at leading telecom Motorola in Schaumburg, Illinois. Tim leverages this experience while advising clients involved in technologies including acoustic devices (microphones and receivers), automotive electronics, consumer electronics, medical devices, computer software, and power systems. Represented an acoustic device manufacturer in obtaining patent protection in areas of critical concern. Represented an automotive electronics manufacturer in obtaining patent protection in echo-canceller technology. Represented a software manufacturer in a patent infringement case involving complex software applications. Settlement was reached. "Back on Track? : Obtaining Software Patents Using New Patent Office Guidance,” Fitch Even Webinar, with George N. Dandalides, March 20, 2019. "Inter Partes Reviews (IPRs): Lessons from the First Year," Fitch Even Webinar, October 24, 2013. Tim has written several articles that have appeared in various publications, including the National Law Journal.